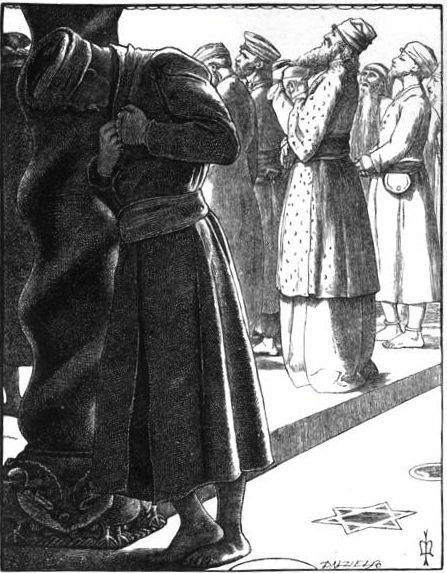 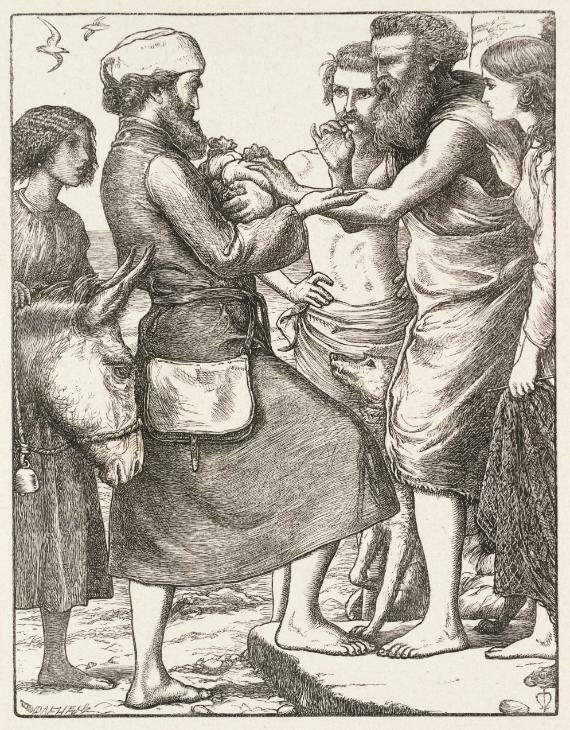 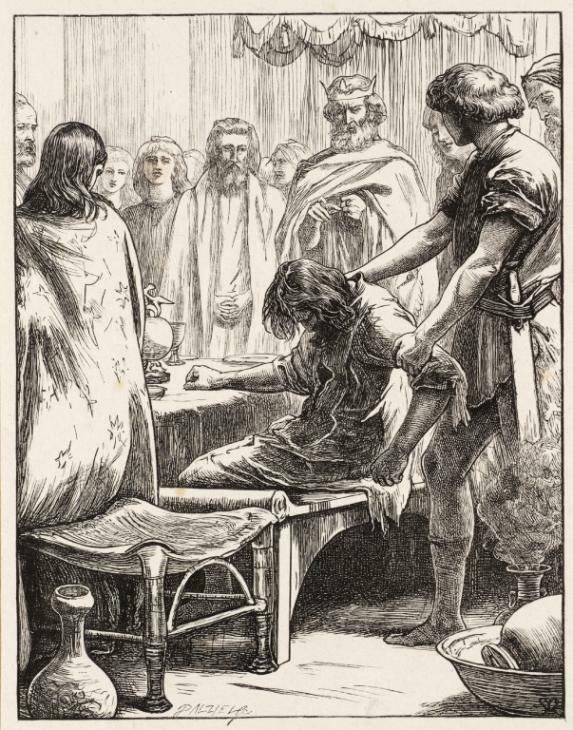 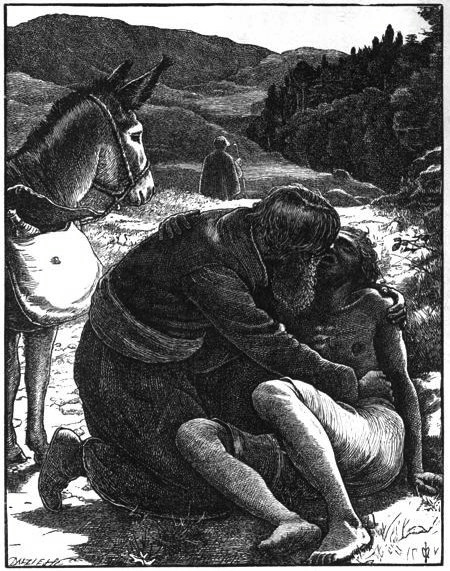 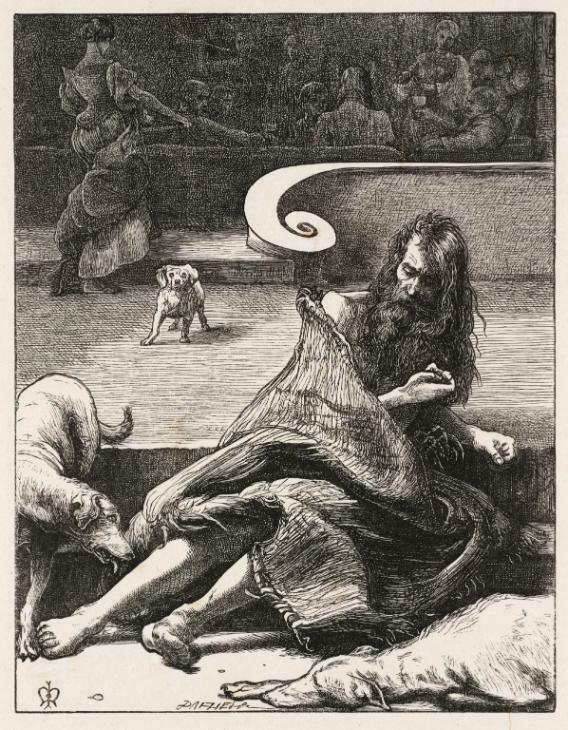 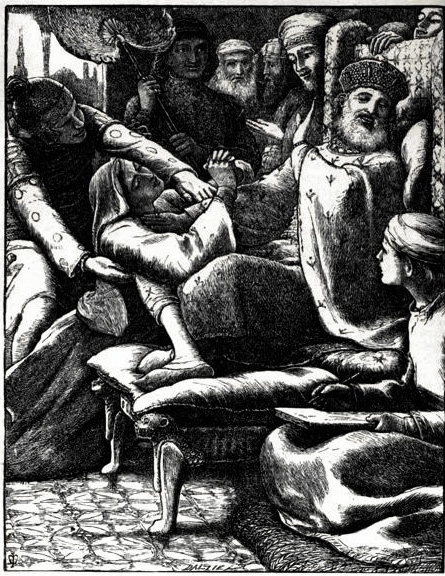 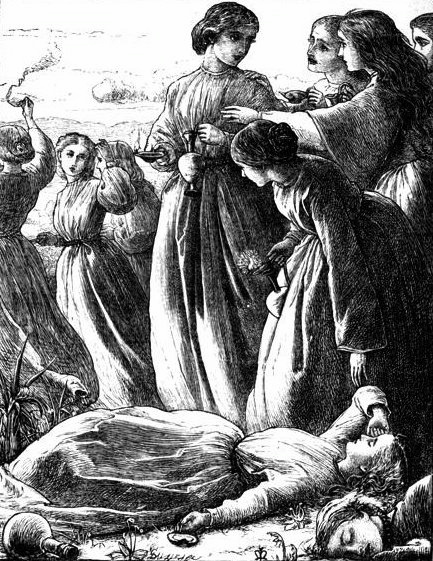 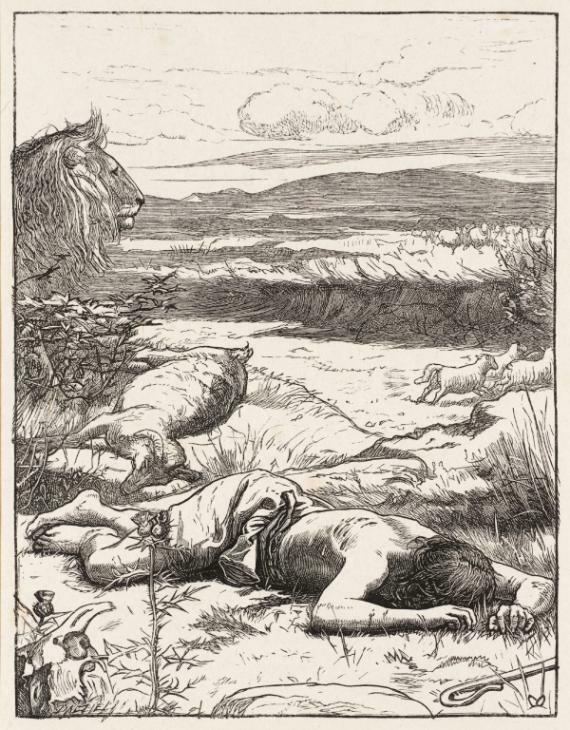 In 1857 Sir John Everett Millais (1829-1896) agreed to provide the Dalziel Brothers engravers with a series of drawings to illustrate “The Parables of Our Lord,” a book whose moral appeal was to be supported by the beauty of its illustrations. 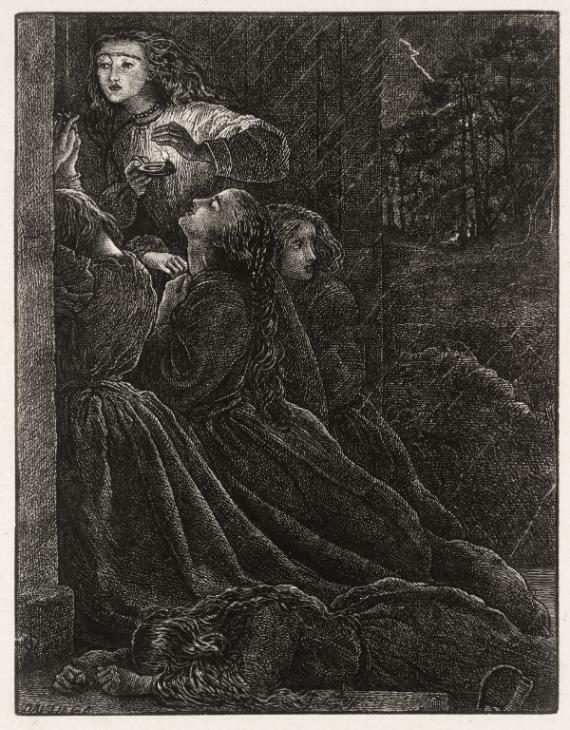 The resulting 20 prints first appeared in the periodicals “Good Words,” “Once a Week,” and “The Cornhill Magazine” during 1862–63, and the Dalziels considered the series, published together in 1864, to be amongst their finest work. 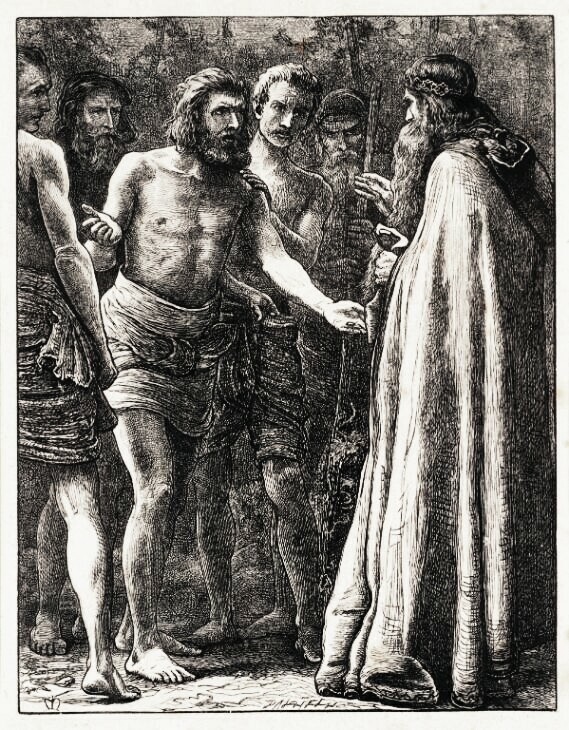 Millais created numerous drafts of each image and considered the process of illustrating the “Parables” equal to the compositional complexities of executing a painting.